Hobie went to Pug Sunday in Alta Plaza Park today. It was a little chilly, but there were still around 20 pugs in attendance. There were pugs of all shapes and sizes, from tiny pups to one that looked a lot like Jabba the Hut. A few pugs wore clothing. 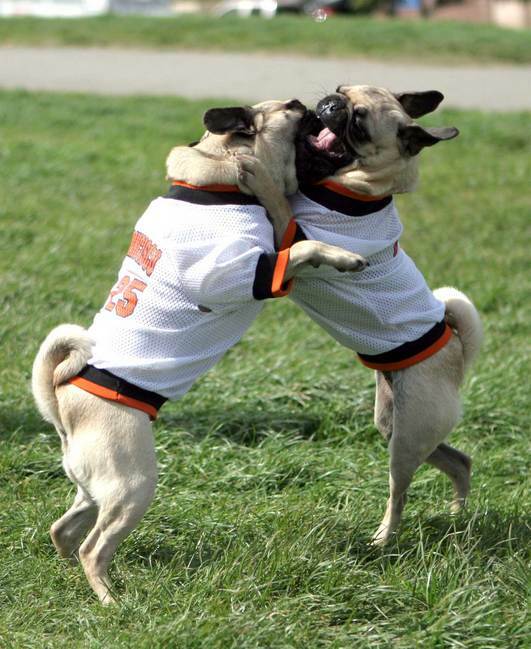 One fashion-conscious pug simply wore an LV collar, while the pair in the picture donned SF Giants jerseys. 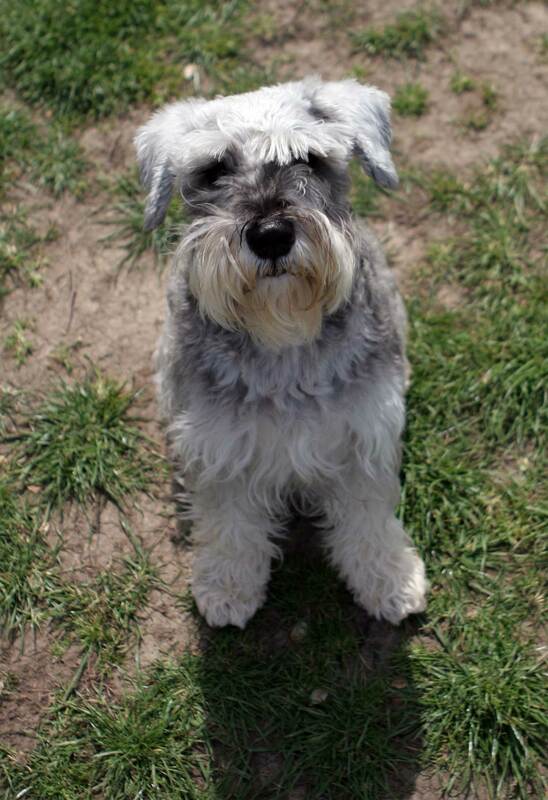 Hobie trotted around a little bit to check out the other dogs, but he didn't really care too much for them. In fact, he decided to just sit down and look at us. There were more people than dogs at Pug Sunday, and several people brought blankets and just sat on the grass waiting for playful pugs to approach. I came across your site while searching for more cat and dog information. I have both a dog and cat and they truly a part of our family. Keep up the good work. I'm going to bookmark the site and look forward to reading more articles. This page contains a single entry by Kris published on April 1, 2007 4:02 PM. Alta Plaza was the previous entry in this blog. Did you get a haircut? is the next entry in this blog.